As Halloween is creeping upon us, have you ever wondered about the real story behind the tricks and treats? Being one of the most celebrated days of the year, the origins of this holiday trace as far back to ancient Europe. However, it wasn’t always about fun and games. Dating back to the ancient Celtic festival of Samhain (pronounced sow-in). 2,000 years ago in what is now Ireland, the U.K and France, the Celts celebrated their new year on November 1. It was a significant date that signified the end of the summer harvest commencing the start of the heavy winter season, which was at the time, associated with human death. In commemoration of winter beginning, huge sacred bonfires were made where people gathered to burn crops and animals to be omens to Celtic deities while wearing costumes of animal heads or skins and at the same time attempting to tell fortunes. In such way, the bonfires were meant to protect them for the winter. Other traditions that would be the basis for trick-or-treating developed in 8th century medieval Britain. For instance, souling involved those of the lower class to beg for pastries known as “soul cakes”, in return they prayed for deceased relatives. Guising on the other hand, was a trend among adolescents who wore costumes either accepting food, wine and even money in exchange for singing, reciting poetry or telling jokes in front of the elites. By the 19th century when Irish immigrants moved to the U.S., they helped re-popularizing the spoopy holiday we know today. It was toned down a bit so it could be more fitted into a family event. As the popularity of this holiday increased, so did businesses that began using it to create more money benefiting their companies. 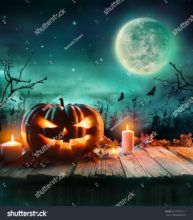 Overall, the 31st of October is a day when everyone can enjoy fun times with family and friends, in a way to prepare for a season where (some, not all) can deal with the bitter cold and hope for something to pull them off the edge of their seats. Either by fear or excite.